Color identification is an important part of Kindergarten readiness! 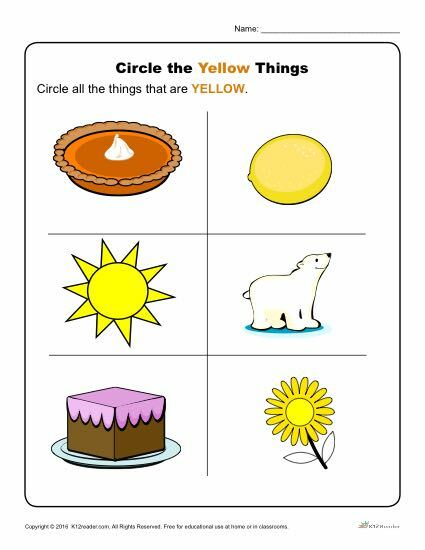 With this helpful classroom activity, your Pre-K students will practice identifying the color yellow. This activity is made fun with colorful illustrations for students to look at. The class will be asked to circle the pictures of objects which represent the color yellow. While ideal for Pre-K, this activity can be used where appropriate.